In a fast-paced world of apps and smartphones, text messaging is enjoying an unexpected resurgence in popularity amongst marketers and brands. While many marketers are sticking to tried-and-tested business text messaging techniques, a few brands are pushing the envelope and trying some radical ways to use SMS in their marketing mix and product offerings. As of 2015, Domino’s Pizza allows you to place an order using the trusty pizza emoji. User feedback hasn’t been quite as positive as Domino’s was probably hoping, but this is still a fascinating precedent. There’s not much in the way of data surrounding the online food service industry, but we do know that e-commerce basket abandonment could be as high as 68% for the average online retailer. While it’s true that hunger isn’t a factor in the average e-commerce experience, the ability to place a repeat order using a single emoji is a great way to capture impulse buyers. Plus, while the ability to order by text message is so new, there’s also the added novelty factor. PayPal’s mobile Security Key is comparable to automated SMS password confirmations, but its use is required every time you sign in. 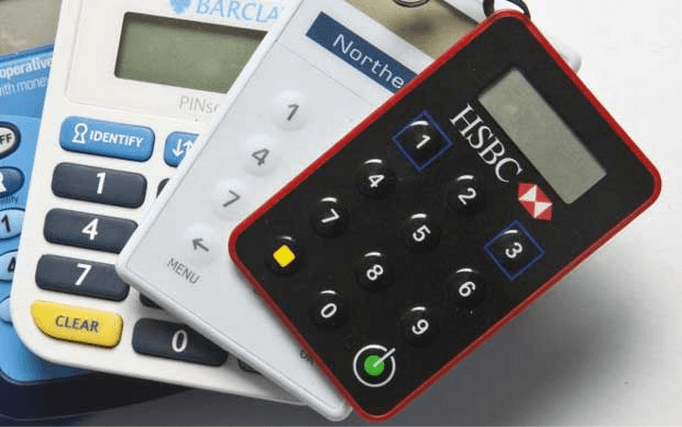 It’s designed to take the place of those random credit-card-sized electronic keygens that you may be familiar with from online banking. When logging in to PayPal, this system requires that you request a randomly generated code that’s sent to you by text message. You then enter this code as well as entering your password. This is more portable than carrying an electronic Security Key card generator, but still offers an extra layer of security. We know what you’re thinking: the intro to this post promised marketing case studies, and security doesn’t have much to do with marketing. But with data leaks – particularly those involving credit card or personal information – on the minds of consumers, security is bound to become more prominent in how companies promote their services. While it’s possible to load up a Skype account with some credit and use this to send and receive text messages relating to customer support issues, it’s not an ideal solution: it’s not trackable and sharing access isn’t that easy. A possible alternative is to offer customer support using Twilio, a toll-free SMS provider. This is a more integrated solution – it’s not particularly difficult or time-intensive to hook the system up to Zendesk – and there are already companies doing some really interesting things with it. In general, we’d advise that the more choice you can offer for customer support, the better. But it’s always worth giving this sort of thing a trial run; it may be that the increased pressure on your support team, and accompanying delay in keeping up with other support channels, negates the benefits of offering support by text message. Macy’s uses text messages to promote sales and limited-time offers to customers in its mobile database using SMS. They also partnered with USA Today back in 2011 to target a specific audience segment of male readers in a certain age group. Macy’s regularly run Day Sales that take place over the course of a single day, and the short-term nature of these sales makes them much more compatible with SMS than email. Stats indicate that 90% of text messages are opened within 3 minutes. A lot has changed since 2011, but the general public’s attitude towards mobile isn’t one of them. A more recent survey by SAP found that 75% of those surveyed read text messages more quickly than emails. If you’ve ever received feedback indicating that customers would have been interested in a promotion but didn’t receive the message until it was too late, this is a potential solution. Provided you already have opted-in mobile numbers in your database, it’s one that’s very easy to test too. We’ve seen above that text message marketing is particularly effective in cases when time is a factor. This makes it a more effective medium for events promotion than those which may be checked less often like, say, Facebook or email. With its first foray into text message marketing way back in 2006, Pacha NYC was able to generate an extra $12,400 in income from a single text with a 15% return. More recently, an IHOP franchise used SMS marketing to promote midweek events and brought in over 100 new customers in the first month. Unless you find that text messages work extremely well to you, we wouldn’t recommend putting all your eggs in one basket. But it might just be worth testing it out, particularly if you run a lot of time-sensitive events or promotions. 6. Bonus: A Text Message Marketing Horror Story! Like any channel, text message marketing requires a bit of care. In late 2014, Parklife Festival was fined £70,000 for a marketing message with the From value “Mum” that was branded insensitive to recipients whose mothers are deceased, absent or estranged. Food for thought for anyone who’s considering using SMS marketing as part of their mix – there’s a very fine line between a campaign that’s unique/edgy and one that’s offensive or goes too far in some other way. Try to make sure you stay on the right side of that line and you will do great! Brit Tammeorg is the editor and digital marketing manager at TextMagic. She writes about topics that show how brands use text messages in their business communications. Her articles focus on growing businesses wisely.